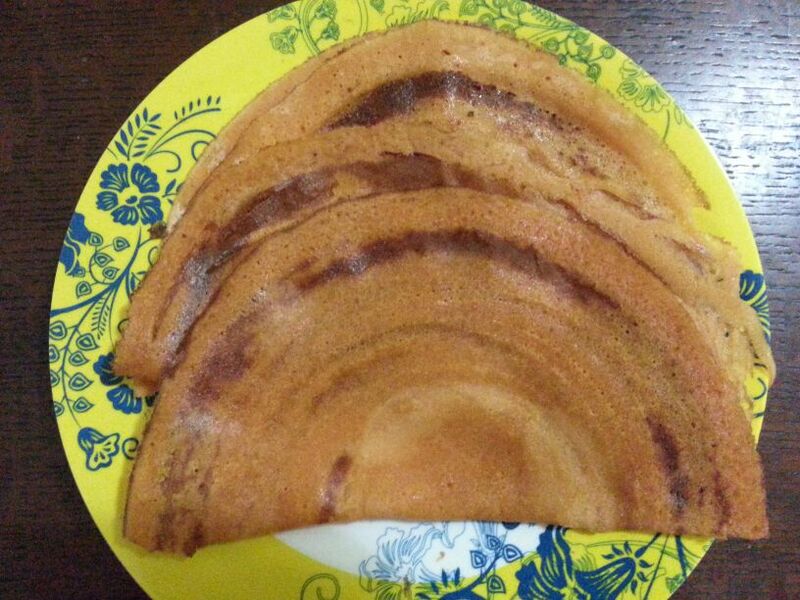 I prepared this batter for dosa with my fingers crossed as I was not too confident about the outcome but they were very tasty and I loved them. A definite keeper recipe. I sure will make them quite often. 1. 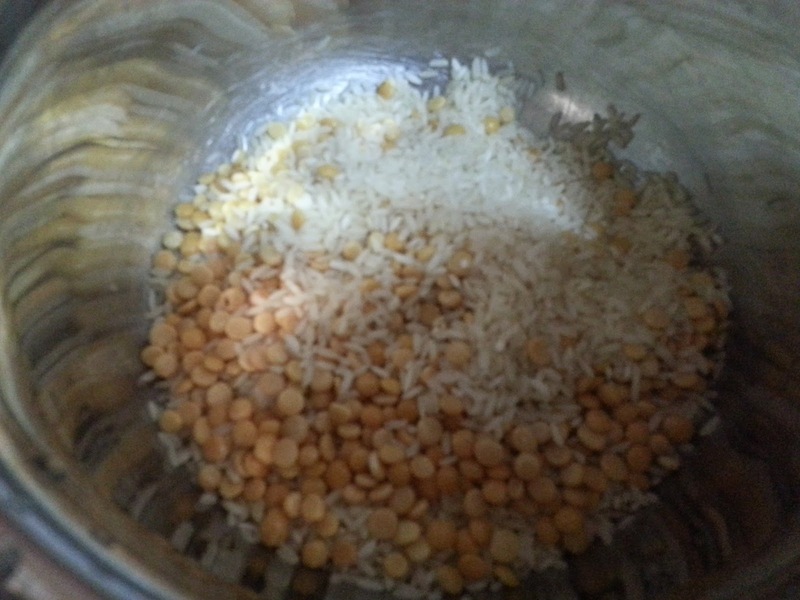 Wash and soak rice and toor daal for 2-3 hours. 2. Slit the dried red chillies and discard the seeds. 3. Drain the water from the rice and add it to a mixer with the daal. 4. 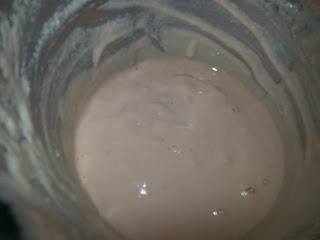 Add the red chillies, jaggery, roughly chopped tomatoes, salt and grind to a smooth batter. 5. Add water if required to achieve dosa batter consistency. 6. Heat a tawa and reduce heat to medium. 7. 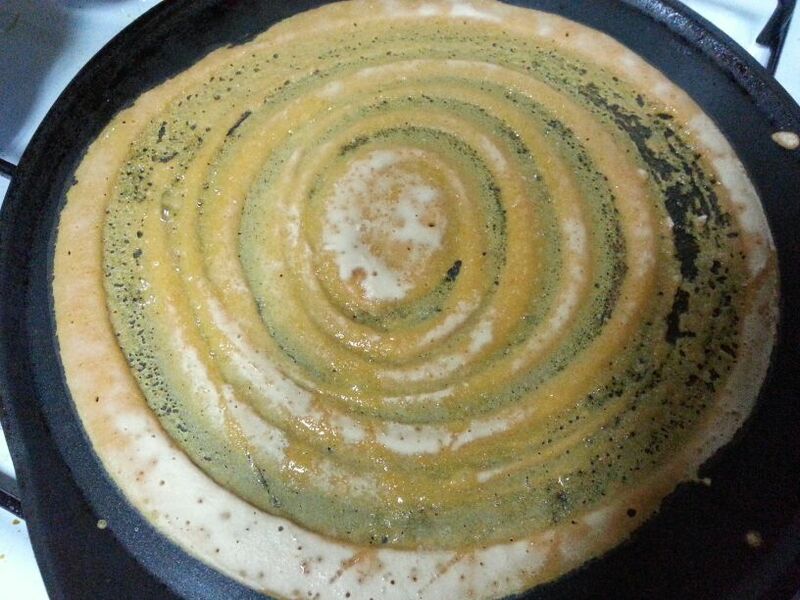 Pour a ladle full of batter and spread it like dosa in concentric circles moving from centre outwards. 8. Drizzle some oil abd let it cook for about a minute or two. 9. Flip it to the other side and cook for few seconds. 10. Remove from the tawa once both sides are well cooked. 11. Make dosas in same way with all batter.